As an award winning wedding photographer from NJ, expect amazing images from your wedding. 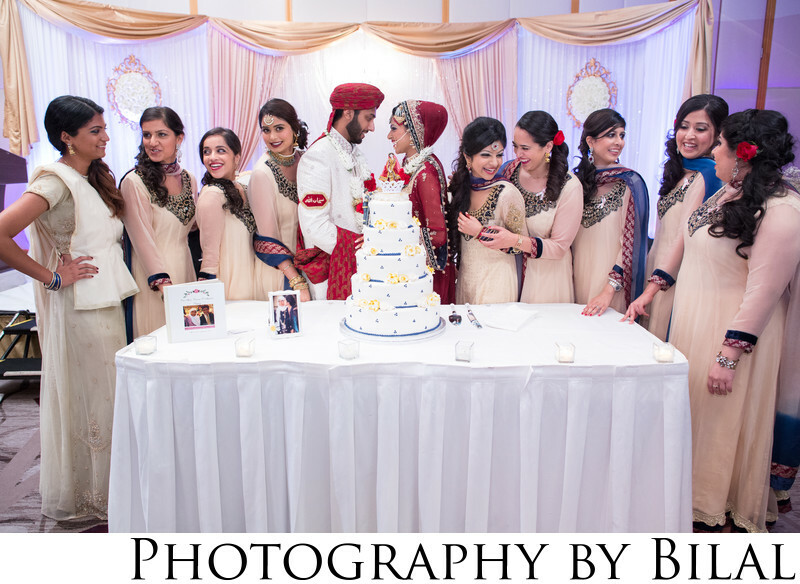 This bridal party shot was captured as they all gathered around the cake. I had instructed the bunch to ignore the couple as they shared a moment together. They ended up loving this photo.